In Aikido: The Complete Basic Techniques, Gozo Shioda, renowned master and teacher as well as the top student of modern Aikido's founder, offers lucid and detailed explanations of all of the most important basic Aikido techniques. He demonstrates how the Basic Exercises that form the core teachings of Aikdo will help the practitioner develop physical focus, and will teach him how to harness that focus for wider practical applications. 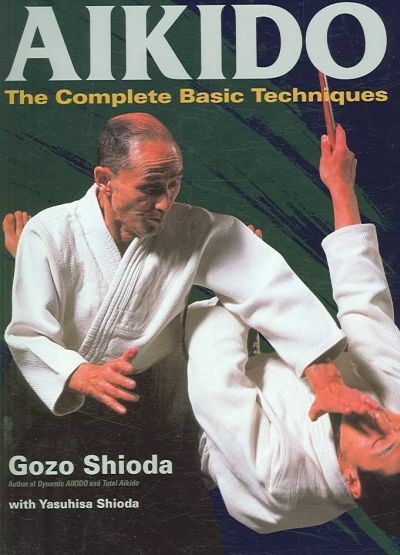 This book deals primarily with the Basic Throws that one learns in the early stages of Aikido practice and is based on a revised edition of an earlier Japanese textbook that has never before been for sale to the public. This updated English version includes a wealth of rare photographs of the author demonstrating the techniques, as well as a new section on Practical Application. A new Foreword has been written by the author's son, Yasuhisa Shioda, in which he discusses the universality of Aikido and its emphasis on defense over attack, which enables anyone, regardless of age, to practice it. This is one of Aikido's most appealing aspects, and it is the wish of both the author and his son that readers will find Aikido: The Complete Basic Techniques to be an invaluable study guide and source of inspiration.